SEAMEO RETRAC is creating an international community of students, educators, and leaders driven towards the same goals. On 13 April, 21 students from Loyola University, USA, Vietnam’s Uni. of Technology, and Uni. of Education attended a sharing session on the SEAMEO network, RETRAC’s projects, internships, and shared their experience as international students in Vietnam. 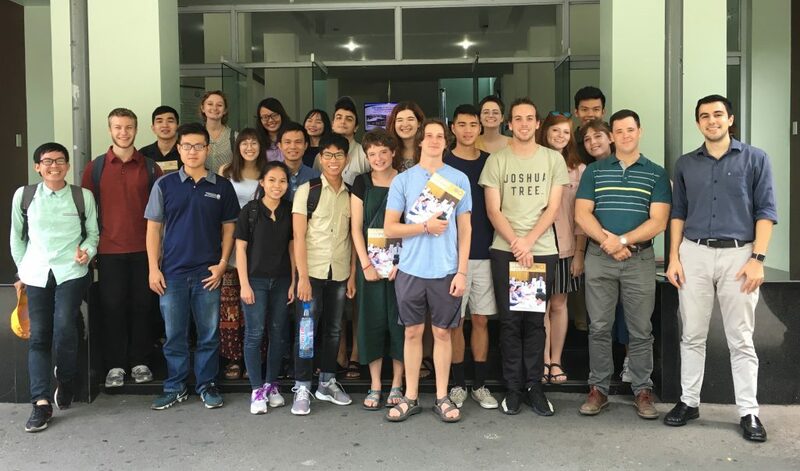 The US students and their Vietnamese partners are engaged in a semester-long partnering program where they share activities, classes, and cultural values. All the students questioned RETRAC’s staff about our projects’ goals, the SEAMEO network, and details about internships. The visit established goodwill among all interested in education as a means to a better quality of life.